Patty's Utopia: Celebrate Día de Muertos at the Seattle Art Museum for FREE. 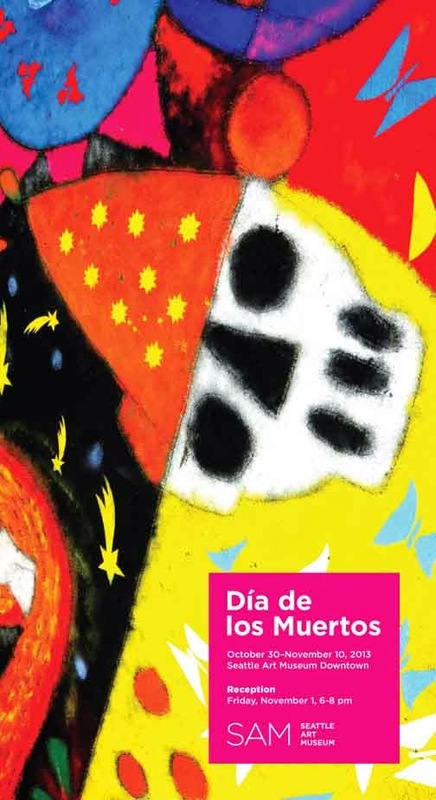 Celebrate Día de Muertos at the Seattle Art Museum for FREE. It's SAM's 15th annual Día de Muertos celebration! Come and celebrate one of the most beautiful Mexican traditions, Día de Muertos /Day of the Dead, at the Seattle Art Museum this November 1st from 6 to 8 pm. Visit the tapete de arena (Sand painting) made by local artist Fulgencio Lazo inspired by Oaxaca's traditions for the holiday, while you enjoy great music, outstanding performances, and delicious food. This is a free event, and it's open to the public. For more information go to: Seattle Art Museum.